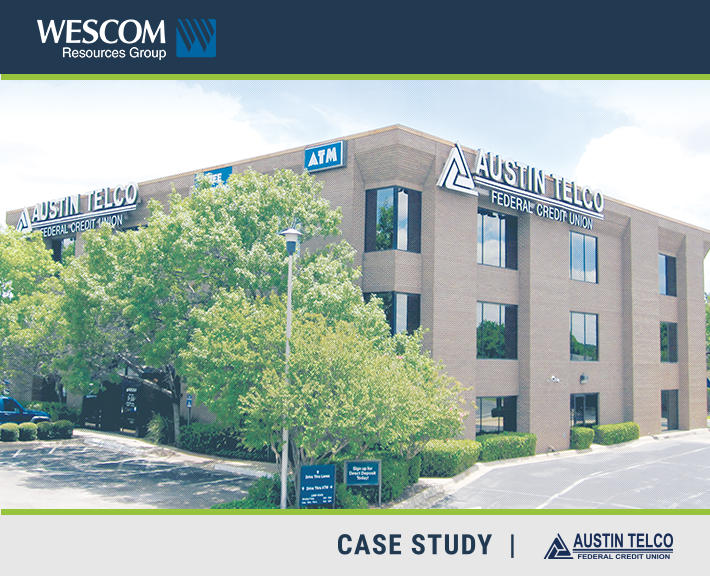 With over 85,000 members and over $1.5 billion in assets, Austin Telco Federal Credit Union (ATFCU) is a force to be reckoned with. Founded in 1941, ATFCU serves anyone who lives, works, worships, or attends school in the Austin, TX five-county metropolitan area through its network of 24 branches. ATFCU uses Wescom Resources Group’s (WRG) Symmetry eBanking suite of mobile and online banking solutions. Improve Member Convenience: Considering worsening traffic congestion and changing member expectations, ATFCU’s leadership team recognized the need to offer an easy-to-use mobile banking channel. Grow Market Share: With many local and national competitors already offering mobile banking services, ATFCU needed to quickly deploy a competitive remote banking solution to maintain and grow market share. Deliver Outstanding Service and Value: ATFCU prides itself on offering its members outstanding service, along with the best loan and deposit rates in the market. As changing member expectations demanded the ability to access accounts from anywhere, anytime, and from any device, leadership recognized it must offer remote banking solutions to meet this need. Maintain Industry-Leading ROA and Expense Ratios: ATFCU consistently ranks among the highest in net worth ratio and return on assets (ROA) among its peer credit unions nationwide. It accomplishes this by focusing on employee productivity and keeping operating expenses low. Any new services must maintain these levels of operational efficiency at a low cost. ATFCU considered several leading providers before selecting WRG’s Symmetry mobile banking solution. The Credit Union cites WRG’s flexibility, deep integration, long-term strategic roadmap, and experience working within credit union operations as keys to its decision. Today, WRG fully hosts ATFCU’s mobile and online banking services, and supports the Credit Union’s business continuity planning with annual scenario and failover testing services. Seamless Integration: WRG’s Symmetry suite of remote banking services integrates tightly with ATFCU’s Symitar core system. In addition, ATFCU offers its members a full range of convenient services such as remote check deposit, personal financial management, and card controls, through WRG’s seamless integration with leading solutions partners like Vertifi and MX. ATFCU has also taken advantage of WRG’s custom module development to meet its unique needs. Exceptional Member Experiences: Since ATFCU deployed WRG’s mobile and online banking solutions, its members have enjoyed a significant improvement in convenience, ease of use, and overall experience. Symmetry has also allowed the Credit Union to serve its members more effectively, through innovative functionality like Impersonation. Increased Member Usage: Since implementing the mobile banking platform and eventually converting to WRG’s online banking solution, ATFCU has seen dramatic growth in member usage of its remote banking channels. Specifically, active online banking users have grown by 59% since 2012, and active mobile banking users have grown to 21,792 since launch. “Our members actively use mobile check deposit, even more than branch deposits, depending on the day of the week. We’re thrilled with the offering because it allows our branches to focus on other services versus just basic depository services.” –Robert Hernandez, SVP, Finance/CFO. Real-time Communication: With built-in secure messaging functionality, members can contact Credit Union staff directly and safely, allowing them to engage in real-time communication and problem-solving. Operational Efficiency: WRG’s Symmetry suite offers a robust selection of tools to help ATFCU securely view member data, track activity, and assist members with issues in real-time. These advanced functions allow the Credit Union to continue providing outstanding, personalized member service efficiently and cost-effectively. Industry-leading Performance Ratios: ATFCU boasts some of the highest performance ratios in its peer group, including ROA and net worth ratio. WRG helps the Credit Union maintain its focus on providing outstanding service and value to its members through innovative yet cost-effective solutions. The Credit Union Difference: Because WRG is a CUSO wholly-owned by Wescom Central Credit Union, a $3.9 billion asset credit union with nearly 200,000 members, it understands what’s important to credit unions and their members: outstanding service, value, and convenience. “WRG is looking out for its membership as well, and that’s important to us. We want to make sure our vendors understand the criticalness of having these systems available all the time, that they’re considerate as they’re upgrading and making changes, and that they know the impact on the membership. WRG is more responsive to our needs than other vendors that just don’t understand the kind of pressure we’re feeling at the time.” –Robert Hernandez, SVP, Finance/CFO.